All destructive testing by UKAS approved laboratories. We are also qualified to Norsok M650 rev 4 for Duplex, Super Duplex & Moly Products. All products are manufactured to international specifications. 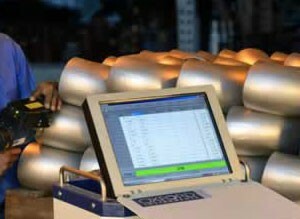 Including ASTM, ASME, BS, DIN, EN etc. Products also comply with requirements of the Pressure Equipment Directive (PED). 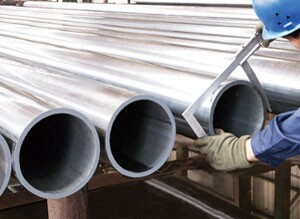 Our products are manufactured from plate and are welded construction. 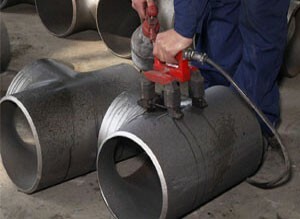 All welding is carried out to procedures qualified to ASME & EN standards. Both procedures and welders are qualified by independent third party organisations. Our qualified procedures encompass the wide variety of materials manufactured and cover thickness range of 5mm to 35+ mm. A QUALITY CONTROL PROGRAM THAT EXTENDS THROUGHOUT OUR ENTIRE ORGANIZATION. At Steber Steel, we take quality seriously. This philosophy carries through every aspect of our operation. That is why we maintain a fully documented/fully certified Quality Management System which complies with the requirements of ISO 9001. This quality system encompasses every phase of our business. 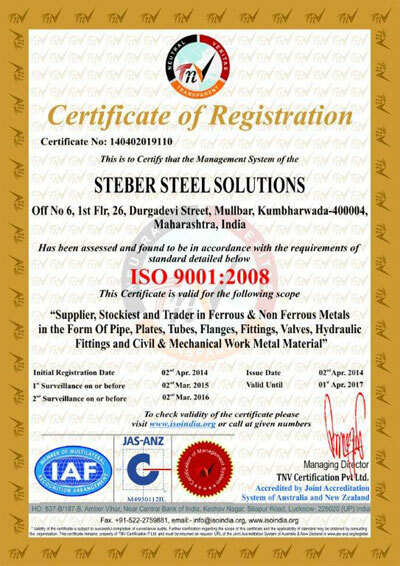 Steber Steel knowledgeable Quality Assurance team in conjunction with our professional sales staff review every material/customer specification at the quote stage so the material is per specification ready for installation once received by our customer. A solid Quality Assurance program is essential to the safe operation to the main markets we service, the products that we supply to the power & process industries is critical path to the safe operation of the facility. A Quality Documentation Package accompanies every shipment that leaves Steber Steel facilities, inclusive of a Manufacturers Certified Material Test Report that is in accordance with EN 10204 3.1. A report that is on mill letterhead that assures our customer of the pedigree of the material that they are in receipt of. There are no shorts cuts when it comes to quality. In compliance the first time, every time!!! Our commitment to the highest industry standards in customer satisfaction remains our primary purpose with an emphasis on continual improvement in both production quality and support service. 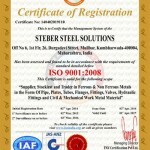 Steber Steel rises above the competition in delivering to you a quality/fully certified product on schedule.